Last year, Marvel announced that it will release a new superhero film on May 6th, 2016, but refused to reveal which film they will actually release. Then came news that Warner Bros moved its "Batman vs Superman" film to the same date. During a recent interview, Marvel head Kevin Feige confirmed that the company is not afraid to going head-to-head with "Batman vs Superman" and will not back down from the May 6th, 2016 release date. Feige went on to promise that Marvel will reveal which film will fill that date soon. Apparently that came sooner than expected because THR is now reporting that the film is the third "Captain America" installment. 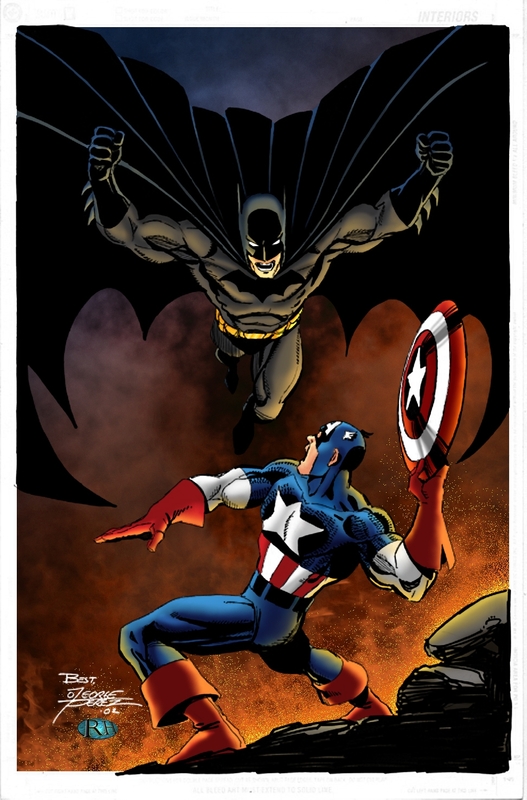 Question: Are you more interested in watching "Captain America 3" or "Batman vs Superman"? It's not as if the people who'll go and see Batman vs. Superman are somehow NOT the people who will go and see Captain America the next day, or vice versa. There's also the practical reality of filming/post-production schedules subject to extensions or delays, so don't be surprised if one of these gets bumped ahead or behind to the following weekend, or further. Remember when Disney announced Episode VII for May of 2015? Yeah. 13 news since yesterday night. That is one bloody record WP didn't hold for many years. "Mysterious Marvel film?" At this point we know Cap 3 is releasing in 2016, Doctor Strange is all but announced to release in 2016. Seeing how Captain America is a far more marketable character than Doc Strange, it would only make sense that the movie releasing that weekend would be Cap 3. I haven't seen Cap 2 yet, but i have seen Man of Steel, and at this rate I'm catching Cap 3 first, then probably BvS either the next day or right after. WP just gave me my new avatar. Tan- you shoulda been here 2+ years ago when this was a decent site. Good times. DC has to budge - Marvel has way more momentum and with more movies per year than DC they don't have to worry bout taking a hit. DC needs BvS to be big so they can't afford the competition. Marvel will hold and BvS will move to June. @insightless: I agree. Marvel has huge momentum. Winter Soldier is gaining lots of pre-release traction and Avengers 2 looks like another huge hit. And with that film leading directly into Captain America 3, Marvel clearly has a huge lead in terms of box-office strength and pop-cultural awareness. Also, DC's casting and directorial choices aren't building confidence. Still, it would be wise to at least see a teaser for Batman vs Superman before writing DC off. Well said! even though i didnt really like the first Cap America somehow they got me really interested in the sequel. As for Batman vs Superman not really interested dusfar. It crashed and everyone on board died. Tina Fey says there's no Mean Girls sequel. And Russia apparently shot down a US drone. I wonder if Obama is readying his apology as we speak. Both, hell I'll already be at the theater. Go early, stop at 420, then watch the 2nd movie.